The first Miffy book was published in 1955: next year will mark the 60th anniversary of the creation of this adorable, lovable bunny. Almost 30 more books have followed this first one, and all together, they have sold over 85 million copies. 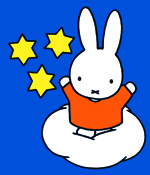 Miffy has also been featured in two shows on the telly, and a feature film titled Miffy the Movie was released in 2012. This little white rabbit, while not of the masterpieces of art, has become an iconic representation of childhood. 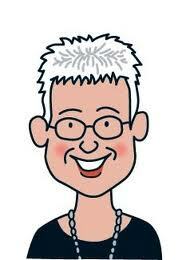 I was thrilled that as part of our art of fine gifts range this year, we have produced a Jacqueline Wilson wall calendar. I remember avidly consuming her books when I was younger, and it was brilliant to read them again as part of this project. Jacqueline's books have beguiled, comforted and entertained generations of children for many years, delving into a multitude of situations which affect young people. She has written an astonishing number of books, with very real themes that resonate with everyone.